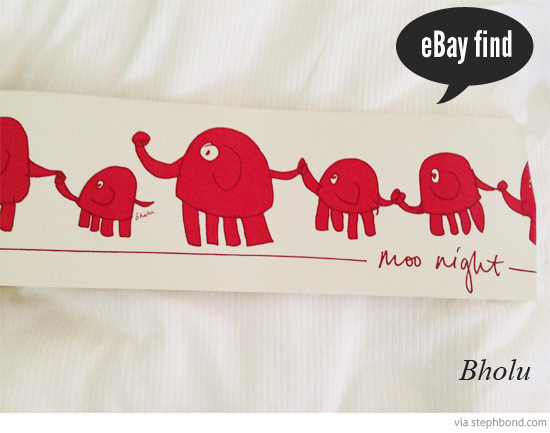 These pieces of art are hand-embroidered felt designs by Bholu that have been framed by the owner for $130 each. 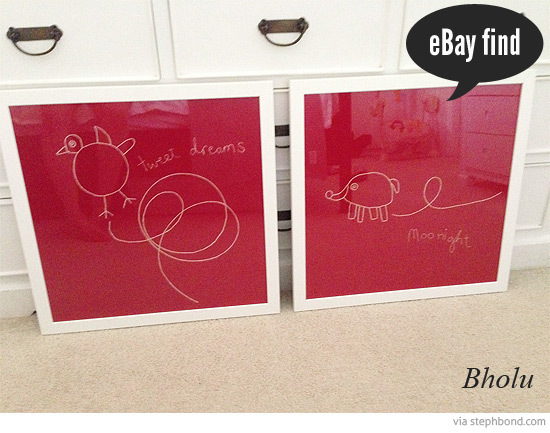 They are currently listed here with bidding starting at $49.99 and would make a beautiful statement in a child's room. Local pick up in Brisbane, you lucky QLD folks! I think the artwork and wallpaper border would look great together too. I can't vouch for the condition of the items or the seller, but happy shopping! Bidding finishes 25th January 2015. You can read more about Bholu here on Bondville too!